With a stunning new look in 2015, and with more new Rules than ever, get ready to experience the Rules effect. Begin to get more out of life, shrug off adversity more easily and generally be a happier, calmer, more fulfilled person. You’ll feel the benefits, and so will everyone around you. It’s your life. How good could it be? 61 You want to do what? 90 What’s in it for them? Richard Templar is the author of the international bestselling Rules books. Over 2 million people around the world have enjoyed and now play by Richard Templar's Rules. 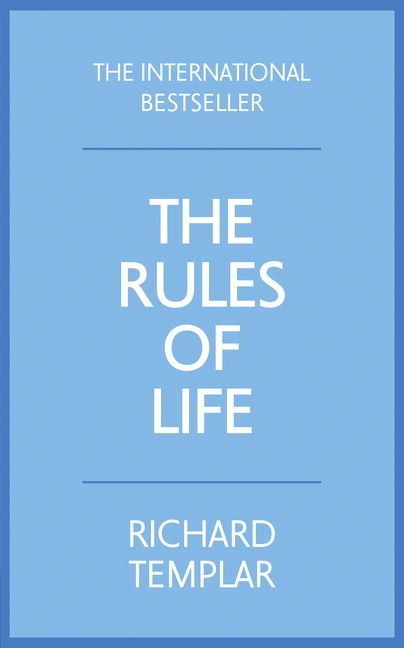 The complete list of titles is as follows: Rules of Life, Rules of Work, Rules of Management, Rules of Wealth, Rules of Parenting, Rules of Love and the latest bestseller, The Rules to Break. All of these titles will be refreshed and re-launched in 2015.